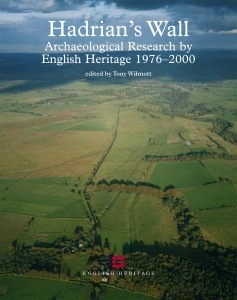 From 1976 to 2000, English Heritage archaeologists undertook excavation and other research on Hadrian's Wall, firstly as rescue excavation, later for research and management purposes. This book begins with a brief account of these works, and this collection of reports completes their publication. The recording of the historic fabric of the Wall led to an appreciation of the work of Charles Anderson, who worked on exposing, consolidating and recording the wall from 1936 to 1974. His long career and contribution to the Wall as we see it today are described. The recording project also led to the discovery of the James Irwin Coates archive of drawings of Hadrian's Wall made during the years 1877-96. This important collection gives a snapshot of the Wall in the late 19th century, and is published here for the first time. By far the largest part of the frontier complex of Hadrian's Wall is the earthworks; the Turf Wall, the Wall ditch and its counterscarp and the Vallum. Four excavations have examined these features, three of which were complete cross-sections of the works. New evidence for the pre-Roman environment and the construction of these impressive works is described. The milecastles of Hadrian's Wall are one of the best known features of the frontier. Several of them were examined in order to evaluate potential threats from ploughing. New evidence for the structures, layout and internal histories of the milecastles has emerged from this work, with a number of them being examined for the first time. Large-scale excavations at the fort of Birdoswald in the 1980s produced dramatic and important results. Further work in the later 1990s has confirmed some of these interpretations and changed others, with evidence for a major rebuilding programme in the late 2nd or early 3rd century. Outside the walls of the fort evidence fo the zoning of the extramural settlement has been found. To the south of the fort, a settlement of timber buildings associated with Frisian-style Housesteads pottery is important. In the cemetery a complete cremation burial provides evidence for funerary practices. The western fort on the Wall, Bowness-on-Solway has been little excavated. Recent work has established the size of the fort, and examined part of the defences. Finally, an Appendix lists all English Heritage internventions on the Wall between 1976 and 2000.